I never thought I’d be the mom of a Football Player. Somehow, my husband convinced me to let our six year old join a flag football team, and now I’m totally a #FootballMom. 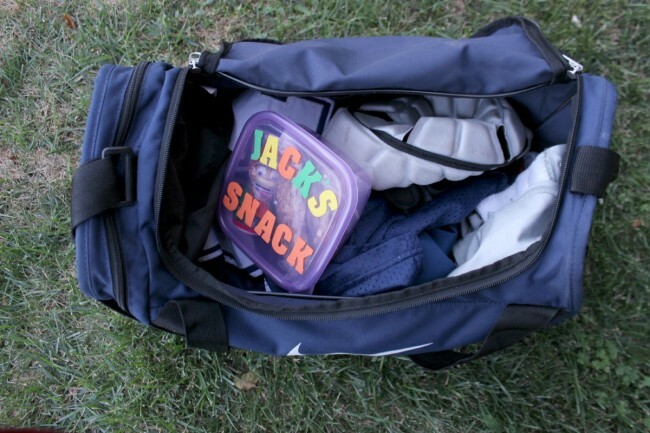 Of course I want to make sure he has something to eat before and after each 2-hour practice, so I’ve been putting his snacks in his gear bag. Unfortunately, on more than one occasion they were crushed and ruined before he could even eat them. With the minimal crafting skills I have, I was able to make something that would keep them safe. This may be the easiest craft I’ve ever done. 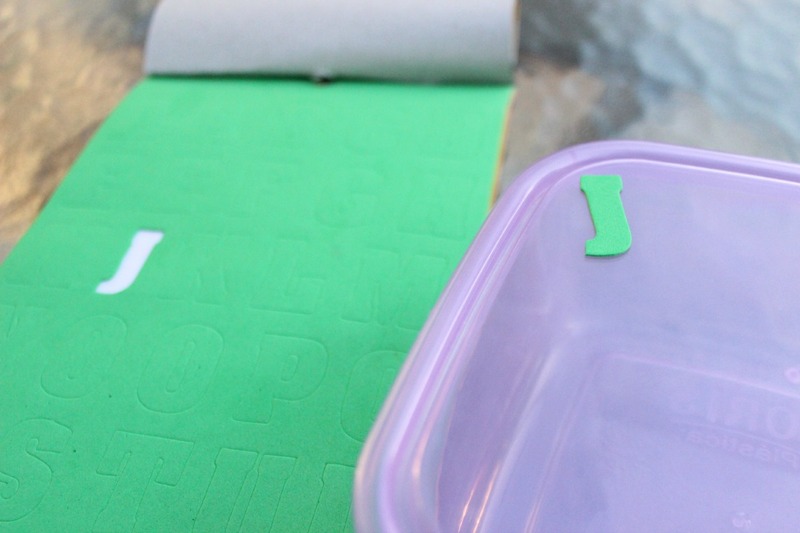 You need two things: a deep, sandwich-size container, and some foam alphabet stickers. I got them both at the dollar store, so it may also be the cheapest craft I’ve ever done too. 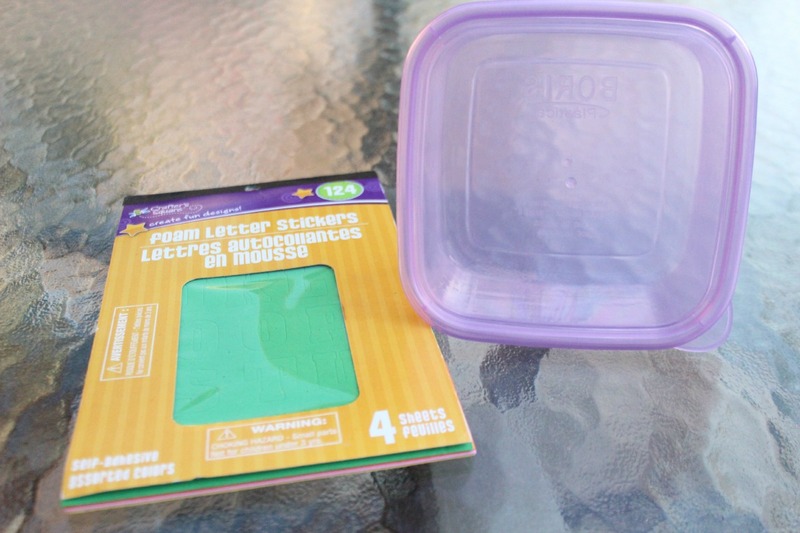 Pick your colors, and place the letters one by one on the lid of the containers. 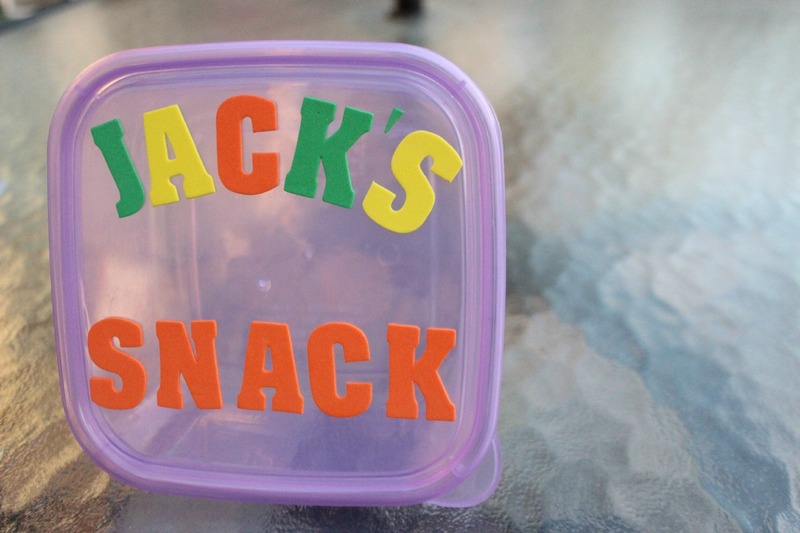 I went with “Jack’s Snack” because “Jackson” didn’t really fit, plus I like to rhyme. Anyway, that took like 30 seconds to make. Now just fill it with some great snack foods. 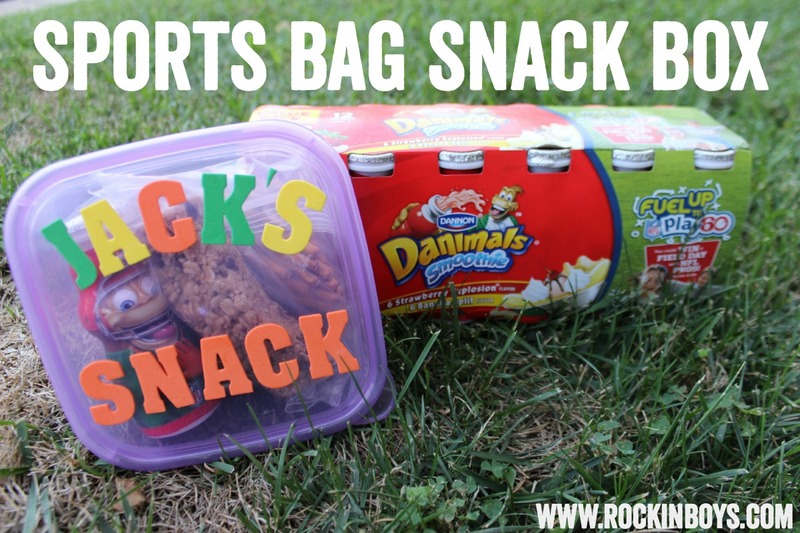 I threw in some pretzel sticks, his favorite granola bar, and a Dannon® Danimals® smoothie. 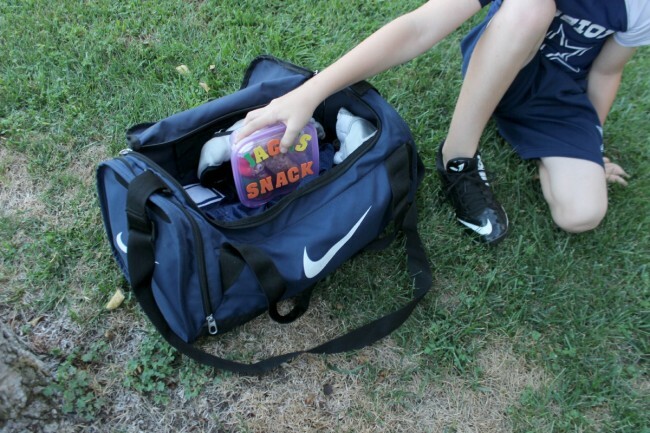 They provide “Only the Good Stuff®” with no high fructose corn syrup or artificial flavors, as well as provide a good source of calcium and vitamin D, so that I can feel good about giving them to him for every practice. 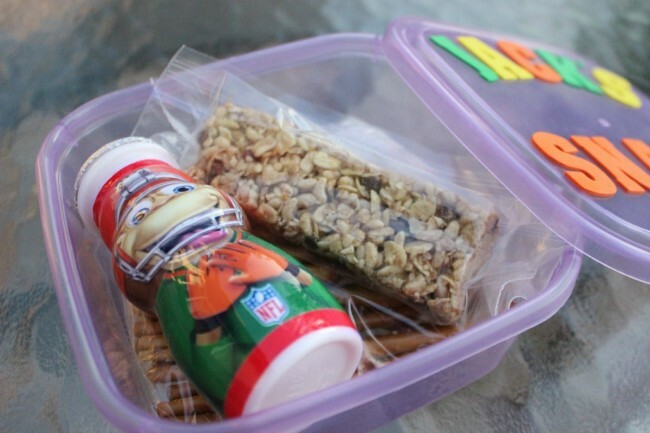 Dannon® Danimals® support Fuel Up to Play 60, which partners with the NFL and USDA to bring nutrition and physical activity to school. They have a great contest going on right now – if you find a “Golden Bongo” bottle (located in specially marked packages), you could win a Play 60 Field Day for your school with NFL pros! 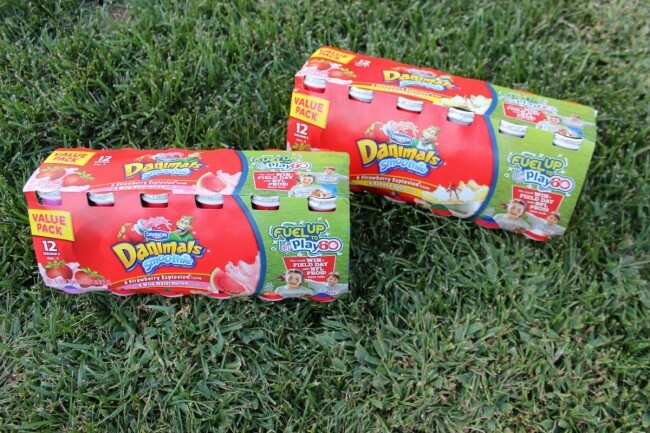 Dannon® Danimals® smoothies are a great snack, but we also love them as an addition to an on-the-go breakfast, or in the lunchbox. The fun sporty designs on the bottles help inspire kids to think about different sports they want to try. Right now it’s football for us, but who knows what it will be next year! 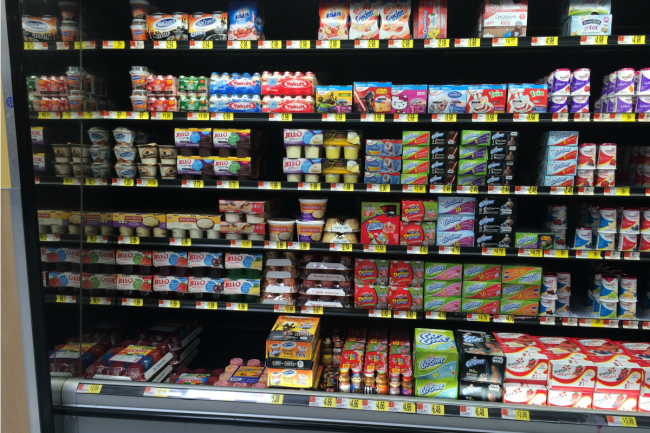 You can grab your specially-marked packages of Dannon® Danimals® at your local Walmart. Make sure to look out for the “Golden Bongo” bottle! For more fun ideas on how to #FuelTheirAdventures, check out http://fueltheiradventures.com!